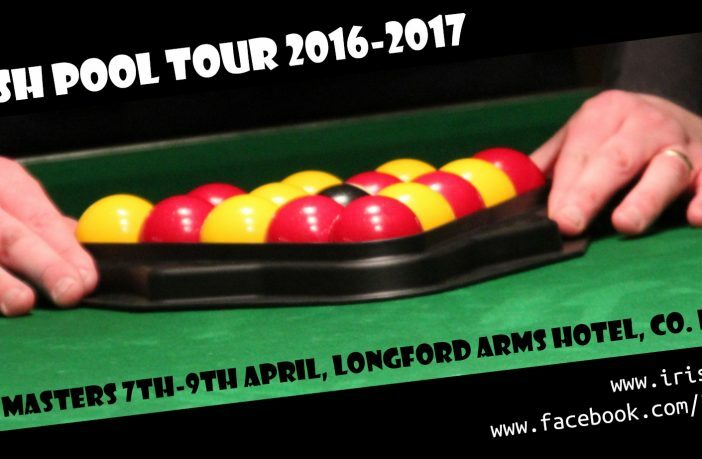 The final ranking tournament of the 2016-2017 Irish Pool Tour will take place the weekend of 7th-9th April in the Longford Arms Hotel. The 2017 Under 23 Irish Championships will also take place at this event. Please click the links below for men’s times, over 50’s draw and the draw for the Under 23 Irish Championships.